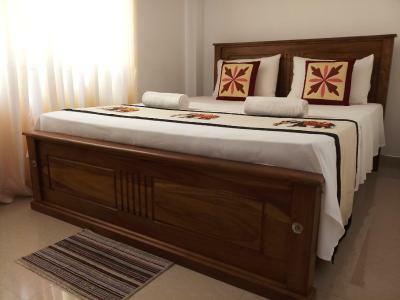 Lock in a great price for Shani Residence Kandy – rated 8.9 by recent guests! Property was nice and close to the main centre but far enough away to be away from the buzz and chaos. The hosts were nice and friendly and made tasty breakfast each morning! 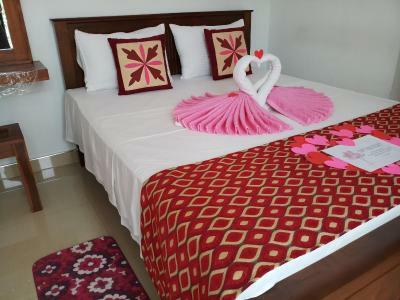 Very clean, perfect location,beautiful views, and the family are very lovely and welcoming..
Super friendly staff, great breakfast, perfectly clean room and good location to explore Kandy and take the train. Clean, nice view over the city and stadium. Short walk to the busy city. There is a short cut. They arranged a trainticket for me. Very friendly people. I did not tell them in advance that I wanted to have breakfast so had to go to another place for breakfast. This is a simple family run establishment. What makes it stand out is the level of cleanliness. Our room had a wonderful view over the town and the hills beyond and at night it was breathtaking to watch the lights and the stars. The bed and bedding were immaculate and we were very comfortable. 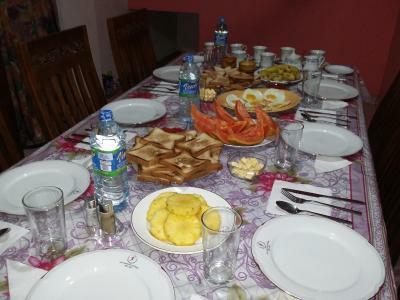 The breakfast was very substantial and a range of things were on offer. The bathroom is very small but again spotlessly clean with new looking and efficient facilities. It was easy to walk down to the lake and temple within a few minutes. The walk up was more challenging but tuk tuks were very cheap and there were plenty of them. The rooms are immaculate and clean. Bed was comfortable and great view of the town from the hotel. 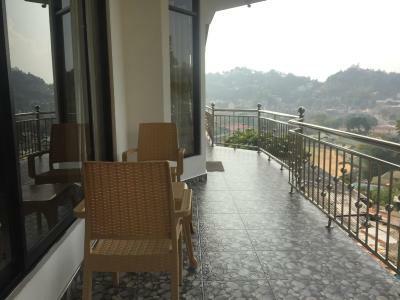 Clean room in an excellent location in Kandy (close to the lake and city centre, but very quiet at night) and with nice views. 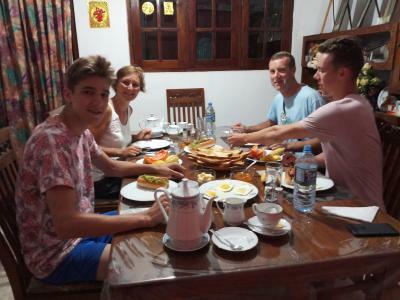 The host family was very nice, they even kept our luggage for a few days while we went to Sigiriya and Polonnaruwa. Very recommended! We really enjoyed our stay at the Shani Residence. 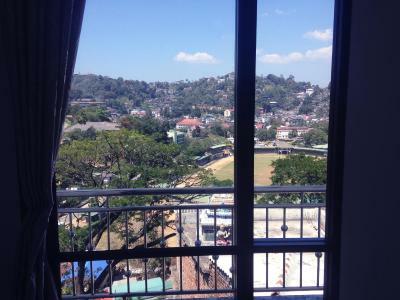 The rooms have a beautiful view of Kandy and are super clean. We liked that we were in walking distance to all the sites of Kandy. 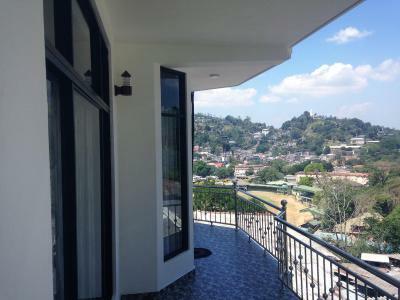 One of our top picks in Kandy.Featuring a terrace and a shared lounge, Shani Residence Kandy is located in Kandy. 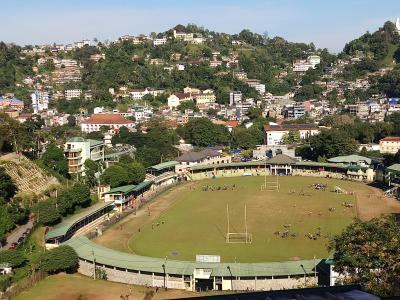 The property is close to several noted attractions, around a 12-minute walk from Bogambara Stadium and around 0.8 miles from Kandy City Center Shopping Mall. Both private parking and free WiFi are available at the guesthouse. All rooms in Shani Residence Kandy are equipped with a flat-screen TV. 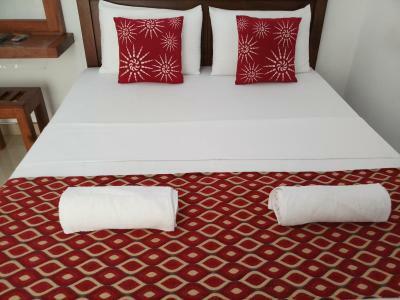 Rooms are complete with a private bathroom, all guest rooms at the accommodation come with air conditioning, and selected rooms are equipped with a balcony. The daily breakfast offers continental, Full English/Irish or Asian options. Sri Dalada Maligawa is 2.5 miles from Shani Residence Kandy, while Kandy Museum is 2.5 miles from the property. 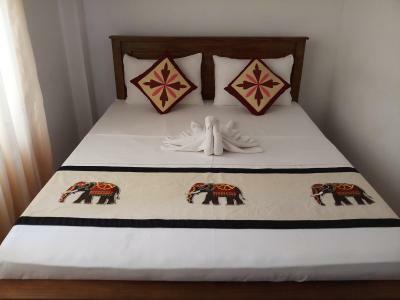 The nearest airport is Bandaranaike International Airport, 64 miles from the guesthouse. This is our guests' favorite part of Kandy, according to independent reviews. 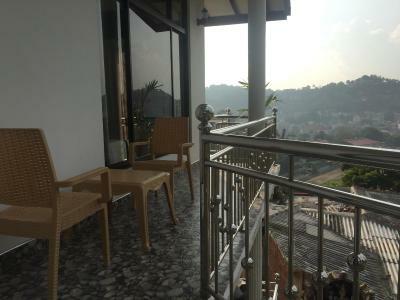 뀐 Located in the top-rated area in Kandy, this property has an excellent location score of 8.8! 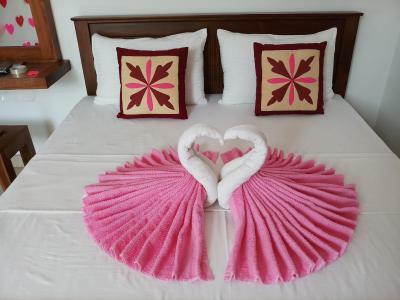 When would you like to stay at Shani Residence Kandy? House Rules Shani Residence Kandy takes special requests – add in the next step! Please inform Shani Residence Kandy of your expected arrival time in advance. You can use the Special Requests box when booking, or contact the property directly using the contact details in your confirmation. The only toiletries were a small cake of hand soap. Everybody was friendly and went out of their way to make our stay as comfortable as possible. The ample breakfast set us in good stead for the rest of the day. You know it’s hard to say anything negative about Shani Residence. It is a little bit of a hike up the hills at the end of the day from the city but a tuk tuk will take you up from the temple area for 200 LKR. The room was pristine. It had a nice small en-suite, a strong WiFi signal a mosquito net and satellite TV. A first for me in my travels in Sri Lanka. New accommodation a little far from the centre . Staff very nice, helpful . Breakfast delicious. Every thing was perfect! Gourges view of the kandy city!! We enjoyed so much there! And the staff was very helpful!! Perfect location for drones also!! Very short walk to the main city( 8 minutes )!! Very clean room, very helpful & nice owners, who where always there when needed, just a short 10min walk to the city. Would definitely recommend this place. Only a short walk to kandy town, and the Dalada Maligawa.. friendly staff. 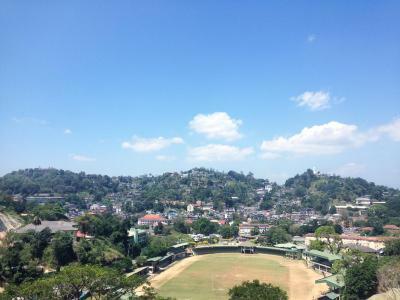 Amazing view above Kandy, kind owner. You can sit on your balcony in the evening and just see Buddha, temple, and beautiful hills surrounding. Located on a big hill about 10mins walk from the lake (using the shortcut by the park). Staff were very friendly, and the rooms were very nice. Bottled water was given free of charge, and the views from the balcony of the city (mountainview room) were very nice. It is located in a quiet part of town, however you will hear noise from the valley below. Water supply was cut off at one point, but staff were lovely and bought water in buckets for the guests until it was repaired. Tea and coffee facilities in the room would be a nice touch! Great location with lovely views from the balcony. The room was clean and comfortable. 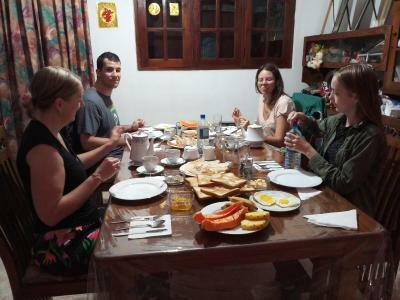 The owners were very smiley and helpful and provided breakfast in their home downstairs which was very welcoming. I’d recommend this property, thank you for having us! The family is amazing. Such warm and friendly people. They try to make your stay as comfortable as possible. We really enjoyed our stay in Shani Residence! 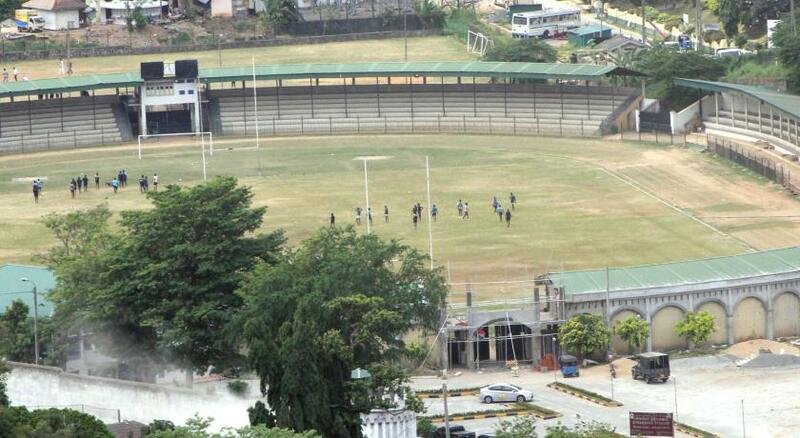 It's very close to the heart of the kandy city( 8 minutes walk if you use the shortcut ) ! & the property has a very great veiw! Room was super clean & so comfortable! The staff is very friendly & so helpful! The arrange us a very good tour also! Love to stay here ! We like to stay here again ! The most recommended place to stay in kandy!